Despite opposition efforts, here is why the bill will pass through parliament. Not only opposition lawmakers, but also many members of the LDP, Japan’s ruling party, have been fuming over being shut out from much of the negotiations about the regional trade bloc known as the Trans-Pacific Partnership (TPP). The norin zoku (the LDP’s powerful agricultural grouping) in particular has rallied to attack the agreement, even passing a resolution promising to block the TPP if it will excessively harm Japan’s farm sector. And so the public is bracing for stormy deliberations in the Diet, Japan’s parliament, on TPP in the weeks and months to come. The most formidable potential opponent to the ratification of the TPP agreement in the Diet is the LDP itself and its many disgruntled TPP opponents. However, much of their grandstanding that we will see in the upcoming Diet deliberations will just be for show, with politicians eager to convince their constituents – and in particular their local Japan agriculture association chapter – that they are fighting for farmer’s interests. In truth they are fighting to get to stick their fingers into the pork barrel. After all, the destinations of the upcoming supplementary budgets to compensate farmers will need to be decided, too. In fact, however, the TPP agreement has already cleared this most important hurdle – the agreement of the LDP’s rank and file. The TPP text was submitted to the Diet for deliberation on March 8. But this could happen only because the brunt of the coalition-building within the governing coalition of LDP and Komeito (its coalition partner) had already been done by then: Before any bill can reach the Diet floor, it has to go through all levels of the LDP machinery (the Komeito party, has a similar process in place). Particularly for an agreement that is as hotly debated as the TPP, this party process was especially intense to make sure the TPP text is ready to go to the floor and will not come unstuck in the Diet. It first had to go through the LDP’s policy divisions – groupings of LDP politicians with special issue areas, such as agriculture or commerce – broadly formed along ministerial lines. Once it passed through these so-called bukai, the TPP text went to the Policy Research Council (headed by Abe’s chum Tomomi Inada). Once it received its blessing, it moved to the most powerful body in the LDP policy machinery, the General Council – the assembly that also includes (often very conservative) local representatives as well as the party grandees and most important LDP leaders. Once it got the go-ahead also from this council, the text moved to the final destination: the joint meeting of LDP and Komeito leaders. With its sanctioning of the TPP agreement just last week, Yutaka Miyauchi, the new domestic chief coordinator, could finally submit the text to the Diet on Tuesday, 8 March. In essence then, the LDP Diet members who will now start to put up a fight during the upcoming deliberations have already agreed to the TPP in principle, including those in the norin bukai (the LDP agricultural policy division that also has a significant overlap in membership with the norin zoku in the Diet). These LDP members are the only ones who could have seriously threatened the smooth ratification process. They have already decided not to, however. And the weak opposition is in no position to fundamentally torpedo the bill or prevent it from being ratified, either. 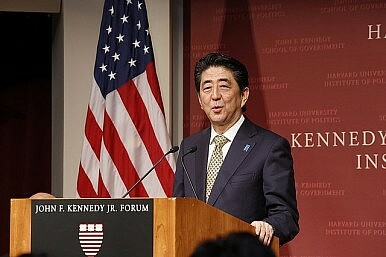 All the DPJ and its “allies” can hope to achieve is to delay the vote, as has happened for instance with the India-Japan social security treaty that has been stuck in the Diet. The TPP, however, is too high profile to end up in limbo. So expect lots of clamoring and lots of the-squeaky-wheel-gets-the-grease style policymaking over the coming weeks. What is certain: The bill will pass. In many ways, it already has. Markus Winter is a Ph.D. candidate at the National Graduate Institute for Policy Studies and a lecturer at Hosei University. He also runs the not-for-profit Japan politics blog plotted//grundriss. The farm sector’s influence is on the wane in Japan, although you wouldn’t know it from the TPP talks.